I've added another Christmas card to my stash and this time I've used Avery Elle's Stockings (with a little penguin stowaway! 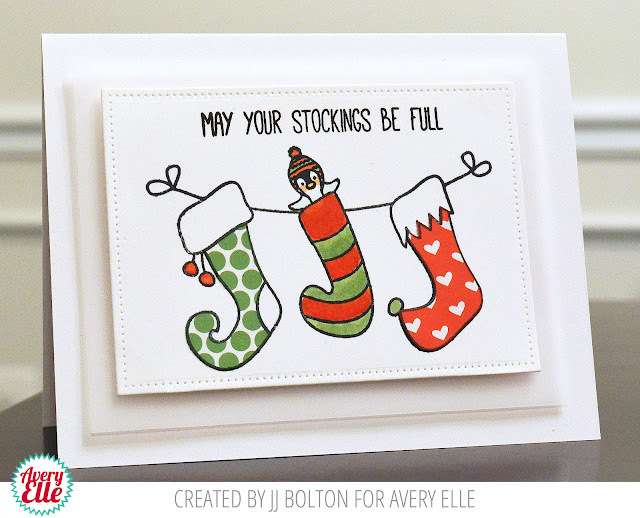 Using a little masking, I tucked the smallest penguin stamp in the Penguin Greeting set into one of the stockings. Thanks for stopping by today! I hope you have a wonderful day!